Founded in 2007, KO Promotions has grown to become the most widely respected white collar boxing organisation in Manchester. 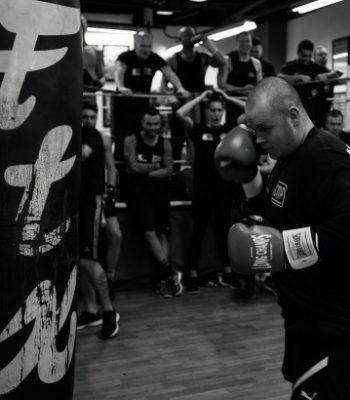 We offer the best White Collar Boxing experience across the Manchester region. Working with famous names and top coaches including (Magic) Matthew Hatton. Our fighters either enter themselves, with a group of friends or even challenge work colleagues. We have even arranged fights between companies with both sides nominating their own fighters to go through the training programme. If you are a company that wants to arrange a private event or have ideas for an industry challenge. Get in touch, we’ll be able to help. Our programme is much more than just preparing you for the first time you step foot in the ring. Our world-class programme gives you training by top coaches who will teach you the techniques you need, motivate yourself and get you in shape ready for the big night. It’s about physical strength, but it’s also about being prepared mentally. Over the 10 week boxing programme, we will work you like you’ve never worked before. You will build muscle, strength, clarity and focus – so you are at your best physical and mental state. All this backed by great dietary and nutrition tips from real boxing experts which will teach you about a healthy lifestyle that you can choose to carry on well after your fight. We take beginners, most have never been in a boxing gym and turn them into real contenders. They just need the fire needed to step inside the ring, we’ll do the rest. Not just talking about it, but doing it. After 10 weeks of training and bringing your inner fighter out, we will match you based on weight, fitness, age and ability. With your family and friends at ring side cheering you on, and the adrenaline pumping, you are going find out what it’s like to stand toe to toe with your opponent. And when it’s over, win, lose or draw, the combination of all your hard work and sweat, you will really know that it was worth it. You have become a boxer! KO Promotions are proud supporters of a number of local and national charities many of whom are quite literally fighting for their lives. We choose to donate money from our events to support them. So you not only are you helping yourself, you’re helping others. We expect our boxers to raise over £100,000 through donations and fund raising events. Becoming a part of KO Promotions will help you do something amazing for yourself and for other people’s lives. This is a once in a lifetime chance to overcome fear, train to the max, step out of your comfort zone and live your dream. So what are you waiting for? Do it!